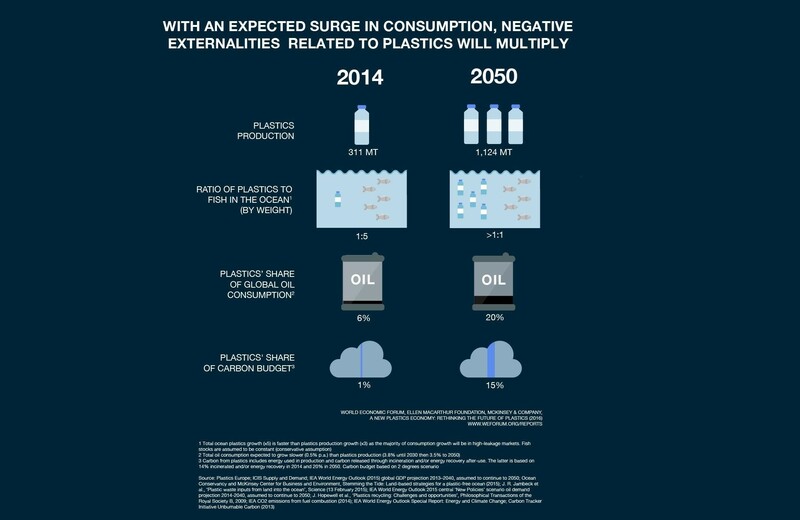 At the 2016 World Economic Forum’s annual meeting in Davos, we launched a report called The New Plastics Economy: Rethinking the future of plastics. 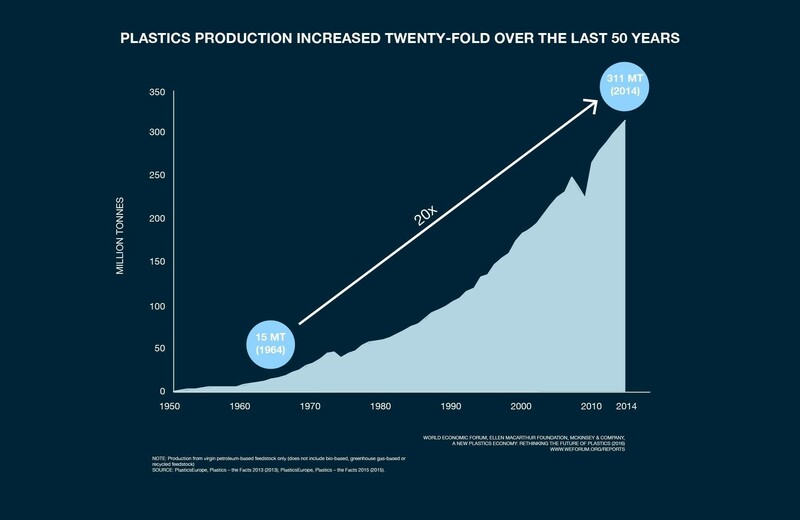 This report provides, for the first time, a vision of a global economy in which plastics never become waste, and outlines concrete steps towards achieving the systemic shift needed. Among the multiple symptoms revealing the current system’s drawbacks, two are arguably amongst the most striking: our analysis indicates (i) that 95% of the value of plastic packaging material, worth $80-120 billion annually, is lost to the economy, and (ii) that, on the current track, there could be more plastics than fish in the ocean (by weight) by 2050. This blog post provides some background information on the data and methodology that led to the latter insight. Mismanaged (or leaked) plastic waste is the total amount that is not properly landfilled, incinerated or recycled. For our numbers we used a 2015 study by Jambeck et al. In this study the team took World Bank data on waste generation for 145 countries, to estimate the total mass of plastic waste generated in 192 coastal countries. It then used more World Bank data on 81 coastal countries on how much of that plastic was mismanaged (for the remaining countries a fairly sophisticated model was applied based on income level and region). 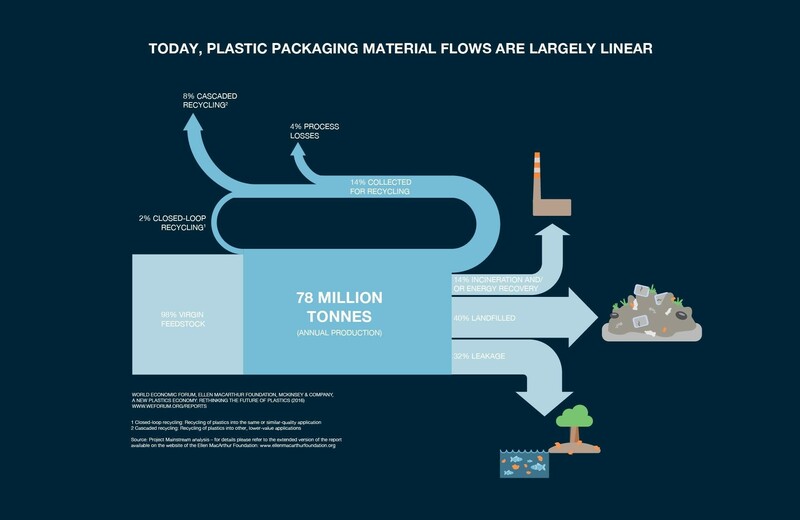 This resulted in an estimate of how much plastic evades being collected and flows into the natural environment, this could be clogging cities’ infrastructure, affecting deserts, forests, waterways and oceans, often the ultimate sink for plastics entering waterways in coastal regions. 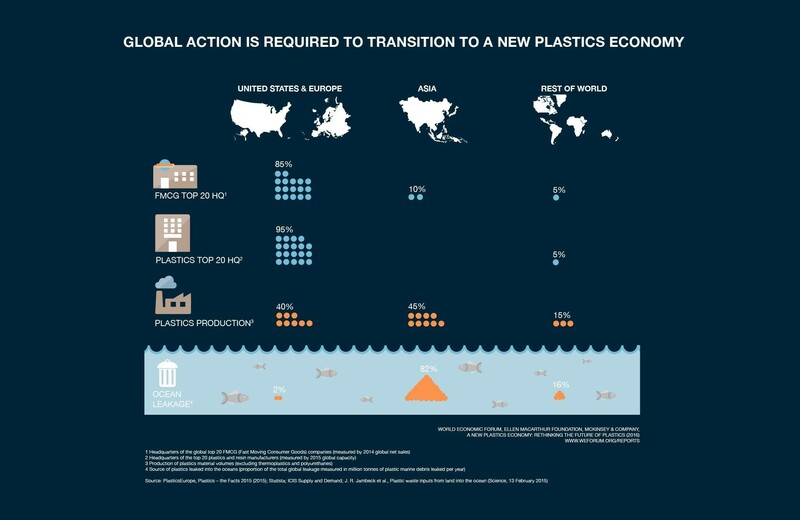 Any forecast up to 2050 is inherently uncertain, but our study illustrates the order of magnitude of plastics entering the ocean if we do nothing to stop it. At this rate the cumulative amount of plastic in the ocean would be 850-950 million metric tonnes by 2050, as compared to 150 million metric tonnes today. 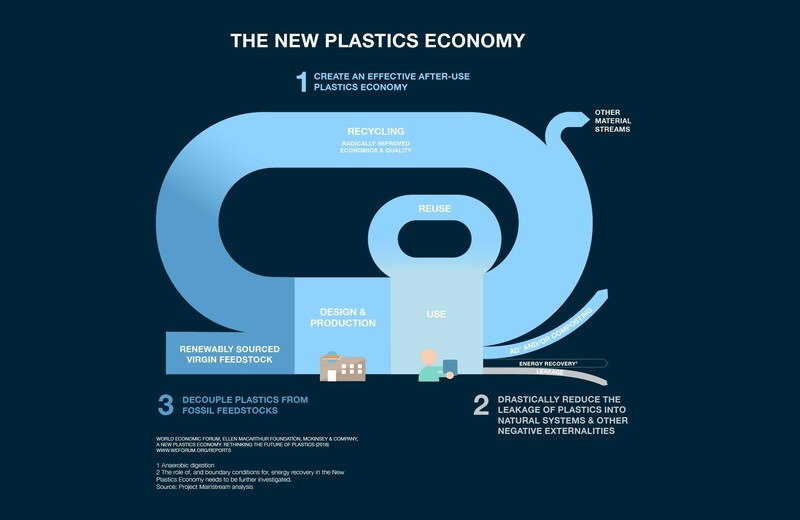 To find out more about plastics and the circular economy read the full report The New Plastics Economy. To delve deeper into the statistics behind the report and for full references download the Background on Key Statistics document.